Description1st prize winner of the Business Plan Competition organized by the University of L'Aquila (first edition). 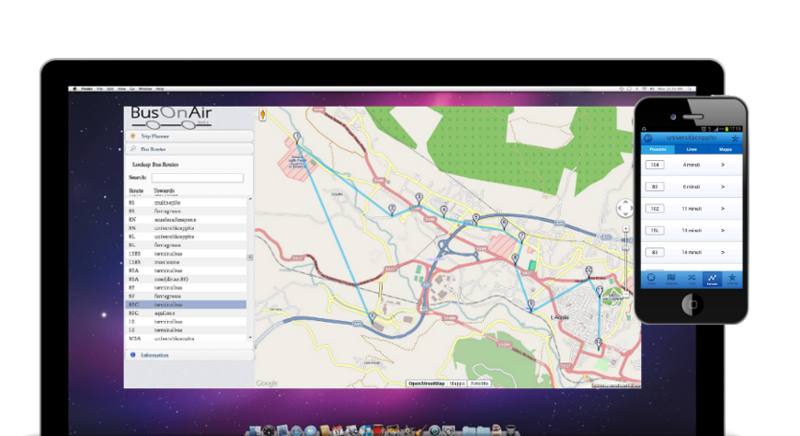 BusOnAir is an open-source framework for real-time tracking of bus routes. It is based on an extensible code base, allowing it to be easily customizable towards each transportation agency we are collaborating with. In collaboration withLudovico Iovino, Francesco Gallo, Stefano Pace, Michele Flammini, Michele Rastelli, Simone Monaco.